This was a tricky project. The drawing part took a while, but I think it was worth the effort. 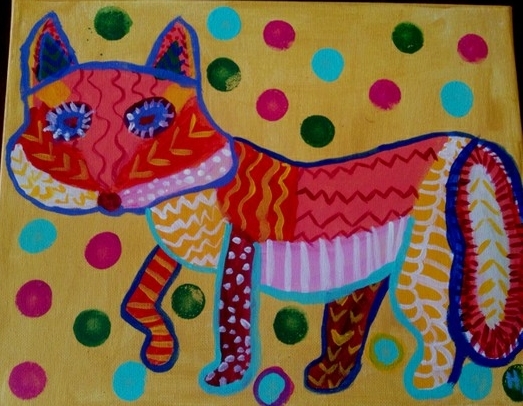 The foxes turned out so cute! 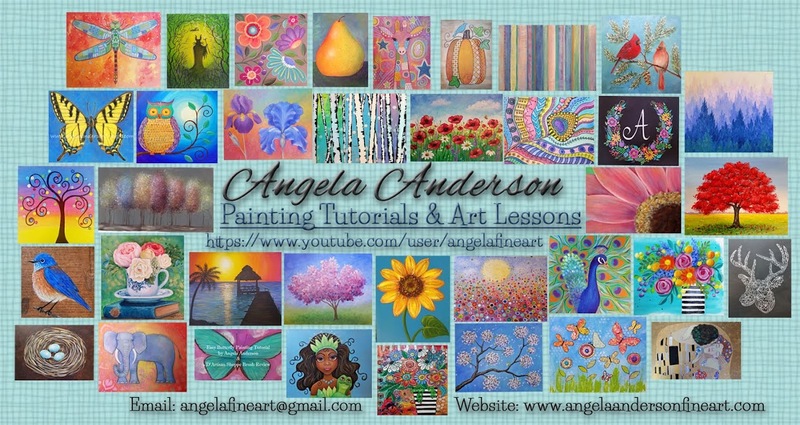 Great lesson in color and pattern too. It took about 2 1/2 hours to complete. We did it with acrylics on canvas. I love the different "personalities" of the foxes. I think this may be my favorite project. The girls had a blast cutting up book pages. I found an aged book that was already very brown so we didn't have to even add any extra color to the paper. 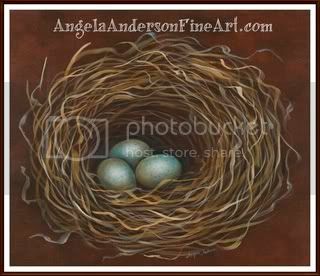 We talked about movement and the way the bird nest is sort of chaotic & criss-crossed in the center then becomes circular around the edges. When they painted the background we used several colors of cream, raw sienna and gold. Then they used pastels to add shading around the edges of the blue paper eggs they had cut out. 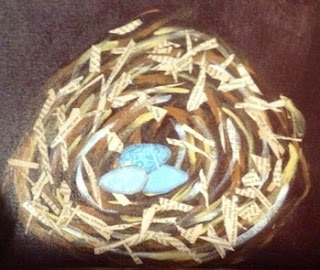 Once the background was dry, the book paper and eggs were mod-podged to the nest leaving the under-painting showing in places. We also talked about layering the eggs so they had the right perspective. The girls (ages 8-12) in my after school art class made some really unique and beautiful jewelry out of polymer clay this week. I showed them how to make "canes" out of the clay (by rolling thin logs and then stacking the different colors together to make one large cane. Depending on the colors used, really interesting patterns can be created when the cane is cut into pieces). They pressed the cut cane pieces together onto flat slabs and then used mini cookie cutters to cut shapes for their necklaces & earrings. I will try to get some photos of the process we used. It was a lot of fun and the girls made really nice color choices.